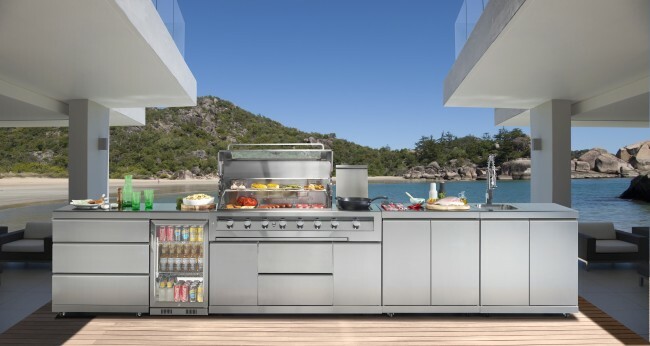 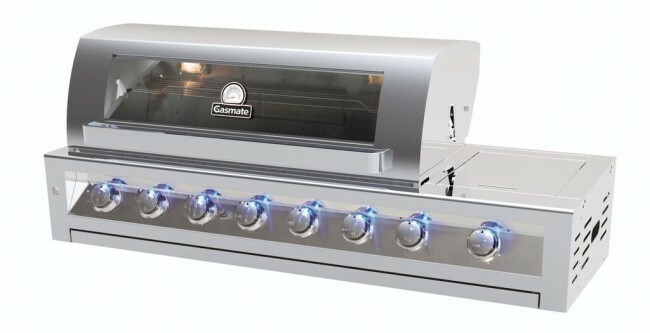 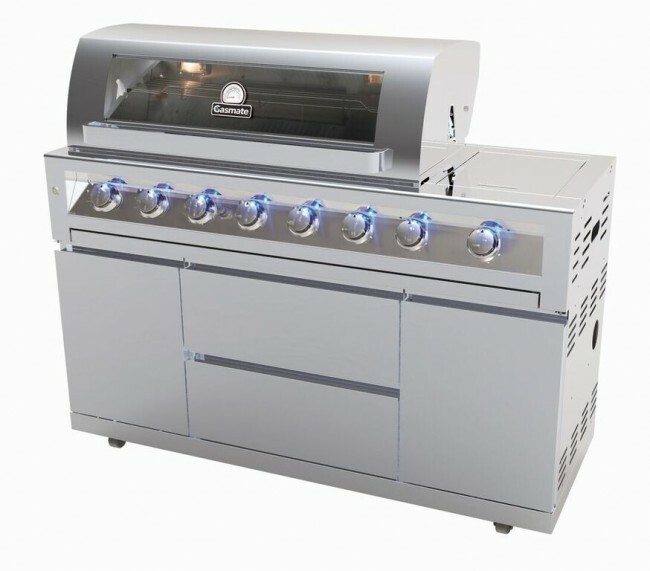 The Gasmate Galaxy 6 Burner Built-In BBQ allows you to enjoy all the features of a Gasmate BBQ but you can build it into your own cabinetry and it can be the centre piece of your new outdoor kitchen! 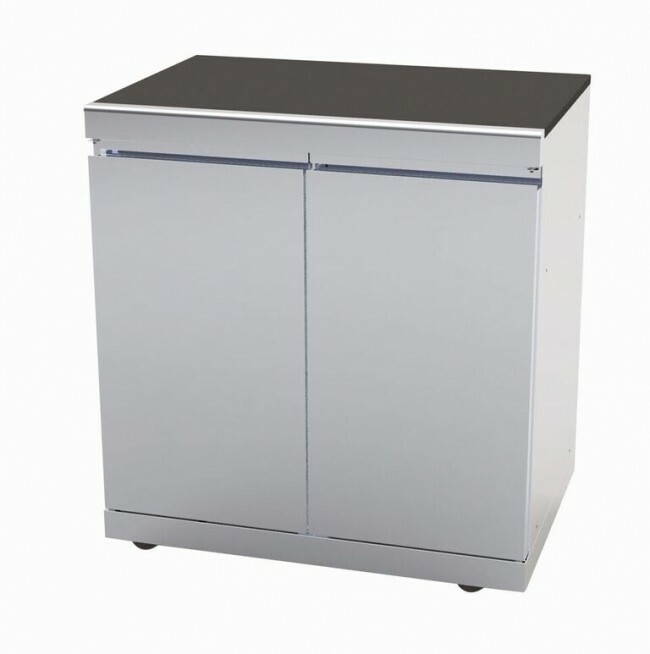 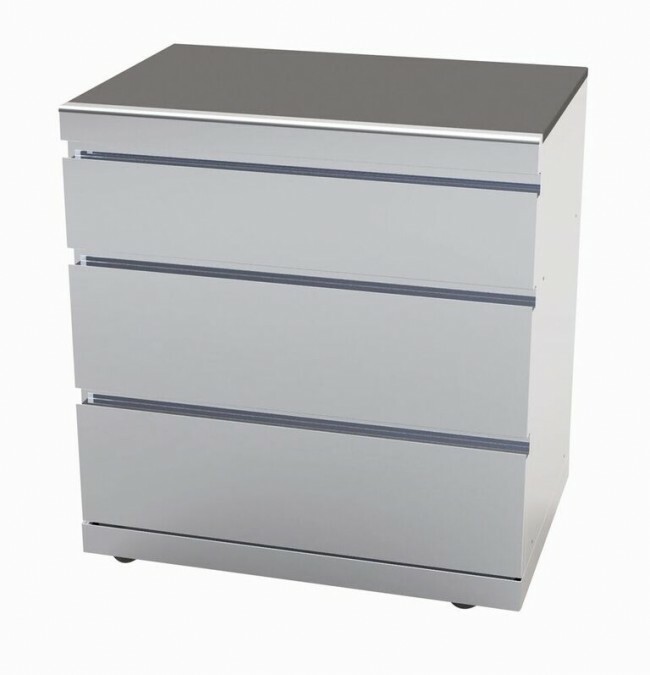 SPECIAL TOP for Gasmate Bar Fridges to bring height of fridge up to the same height as the GALAXY BBQ SERIES and Modules. 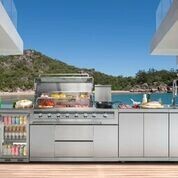 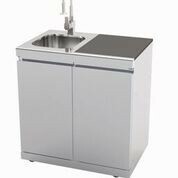 Stainless steel fascia with black granite top so that fridge integrates perfectly into your GALAXY OUTDOOR KITCHEN.